Organisations can apply for a share of up to £250,000 to develop technologies that connect both young people & older adults in rural areas. The GovTech Catalyst is to invest up to £250,000 in projects that combat digital exclusion and a lack of access to transport in rural communities in South Wales. Monmouthshire County Council is home to 92,800 people, with isolation & loneliness having a significant impact on wellbeing. 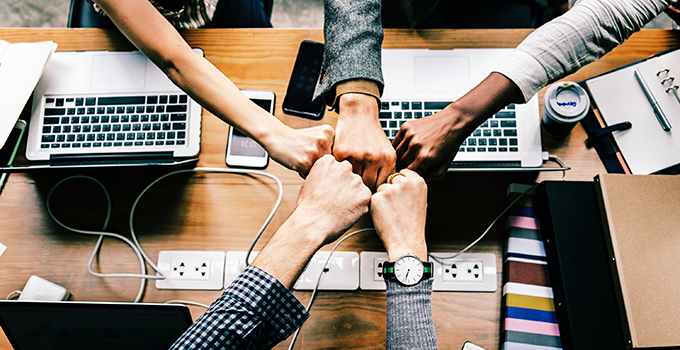 Through the GovTech Catalyst - government’s £20m fund to find creative solutions to complex public sector problems - Monmouthshire aims to develop digital innovations that could connect isolated people, transform public services and support transport opportunities. Do you need to redefine the value of your IT operations? Is your existing IT within a legacy environment that is coming to an end, or in an on-premises data centre that is inefficient? You need to be thinking about transitioning your existing services to the cloud NOW, so you can reduce costs AND improve agility for your organisation. Avoid your next contract renewal, or another 3+ year capital refresh cycle, by replacing it with our no-commitment platform. Join us at 10am on 26 July for our webinar “Overcoming the barriers to data centre modernisation”, where we will take you through how you can build the case for modernisation and ensure your organization remains fit for purpose. To discover how, register your interest here. In September 2017, the CQC was tasked to carry out a review of the issues that contribute to the occurrence of ‘Never Events' in NHS trusts in England. Never Events are serious, largely preventable safety incidents that should not occur if the available preventative measures are implemented. They include things like wrong site surgery or foreign objects left in a person’s body after an operation. Whilst they are rare – 469 cases have been provisionally reported between April 2017 and March 2018 – incidents can have devastating consequences for the patient, their family and the NHS. CQC have been progressing with this work in collaboration with NHS Improvement. This has involved site visits to a number of NHS trusts, focus groups with frontline staff, interviews with patients and work with experts from other safety critical industries. The high risk nature of healthcare is not always reflected by culture & practice. CQC’s report is due for publication later in 2018. It will promote the positive work being done in trusts and will share learning & good practice, as well as identifying what additional support or guidance could help organisations to reduce the risk of things going wrong. The report will also look at how we can improve how we assess safety, inform NHS Improvement's future work and make recommendations for NHS trusts and other bodies. PC&PE; Is it worth complaining? The Commissioners on the National Infrastructure Assessment report on their findings / recommendations. Sir John Armitt CBE said: “Whether it’s electric or driverless cars, new energy sources, tackling the risk of climate change or preparing for the newest & fastest broadband speeds, the issues we’ve been considering profoundly affect people’s everyday lives. “The whole purpose of the UK’s first-ever National Infrastructure Assessment is to think beyond the technologies of today and to ensure we can make the most of future innovations. It’s why it’s not just a one-off but something we will be repeating every five years to ensure we remain on the front foot. “This is not some unaffordable wish-list of projects: it sets a clear direction for how to meet the country’s future infrastructure needs, and makes a realistic assessment of what can and should be delivered within the stated aim of Ministers for steady and continued investment over the coming years. What future for large nuclear projects? What about the infrastructure to ‘power’ the alternatives? Yet another ‘Tipping Point’ to fund! Editorial Commentary; Does ‘Brexit’ now mean only ‘48% Brexit, rather than 52%? While mainstream media continues to concentrate on the clash of personalities, WGPlus brings you some more considered viewpoints from Briefings for Brexit & others, including those explaining how ‘No Deal’ (ND) is a realistic option. The new White paper sprung on the Cabinet at the aptly named ‘Theresa May’s Chequers retreat’ May or May not be (pardon the puns) what ends up as the UK’s negotiating position, but the PM’s process of seeking Cabinet approval (in retrospect) seems to have been guaranteed to annoy (other less polite words & phrases also spring to mind) not only Cabinet & Parliamentary ‘Brexiteers’, but also the majority 17m+ people who voted to ‘leave’ the EU (White Paper: The future relationship between the UK and the EU ~ Chequers' Brexit White Paper explained in 300 words | The Week UK ~ May's new Brexit plan. There is an alternative – from within the Government itself ). The current attitude of the political elite was summed up recently by one Welsh AM’s concern that ‘ND’ would mean that EU boats would no longer land fish caught in UK waters in Welsh ports! Thus entirely ignoring the fact that UK fishermen would be able to build-up the UK fleet in the medium term and (in the short term) land their existing catches (which may currently be landed in EU ports) in UK ports (Editorial Commentary – A fall-back to ‘No Deal’, if the UK’s ‘Soft Offer’ is rejected, is not as ‘bad’ as Remainers have ‘painted’). It is time to consider ‘reasons why’ rather than ‘reasons why not’ ND may be the best deal in the medium to long term for both democratic & economic outcomes. The outcome ‘May’ be that we end up with a new PM and a revised White Paper! Why would the EU agree to Labour’s customs union proposal? We all know the importance of keeping fit and active, but did you know that maintaining fitness and strength is also an essential part of managing some medical conditions like osteoporosis, arthritis and depression? Want to become more active but don’t know where to start? By introducing some simple exercise into your daily life both in and out of the workplace, you can really make a positive change to your physical and mental health. Keeping track of nutrition and health trends can be challenging these days.